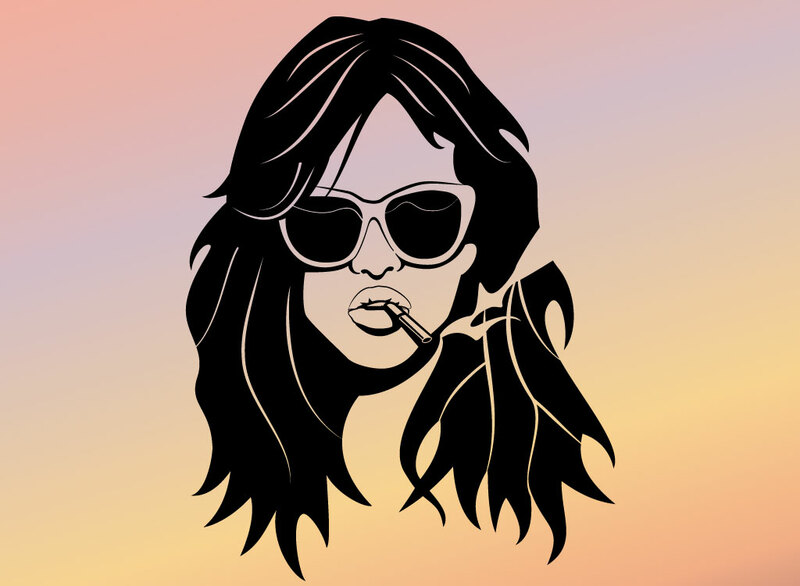 One color clip art has lots of uses and this woman smoking has plenty of attitude that you can use in your designs. Add to a collage, abstract illustration or use with text for minimalist design. . Zip file comes with AI, PDF and JPEG files. Tags: Attitude, Cigarette, Girl, Hair, Punk, Shades, Smoking, Sunglasses, Woman.